A common danger of hearing loss is ensuring you’re visible to those around you when walking or cycling on or near a road. In a recent article from Connect Hearing, they identified Wildfire Sports & Trek as an industry leader in products to help ensure your safety while out and about. To ensure safety while cycling or walking, especially on roads, we recommend staying highly visible. This way, even if you’re unaware of approaching vehicles or people, especially if you are hard of hearing, they have a better chance of seeing you which reduces the risk of accident or injury. We recommend visibility products like the Nathan Sports Reflective High Visibility Waistpack, with a fully adjustable belt and a stretchy outer pocket for your valuables, offering 360-degree reflectivity. 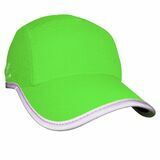 Headwear can work for your safety too, with Headsweats High Visibility Reflective Race Hat, which has a highly reflective surface treatment and reflective piping around the brim and bottom. It’s comfortable too, with a black undervisor to reduce glare, an adjustable buckle and terry sweatband for maximum airflow. 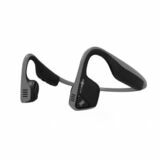 We also offer Aftershokz Bone Conduction Headphones, which may help you experience high-quality music, depending on the degree of hearing loss. The headphones use your cheekbones to transmit sound from a connected mobile device to your inner ears, bypassing the eardrums. For more helpful advice and tips for living with hearing loss, check out Connect Hearing's website.